Some time ago, I read a very interesting article titled The Copycat Economy on The Business of Fashion where various experts debated whether or not copying was a good or a bad thing for the fashion industry. Most owners of high-end luxury fashion designs seem to agree that copycats are bad for their business – especially because brand loyalty is down in this day and age. And emerging designers tend to feel the same way. Being an emerging designer means that your brand is not yet well established. As a result people buying copies therefore often don’t realize that the products they are buying are – in fact – copies. Other experts, such as Christopher Sprigman, disagree, stating that knockoffs and copies are actually “the engine driving the fashion industry”. Sprigman argues that product cycles and design innovation in the fashion industry are driven by designs going out of fashion through mass adoption and that copycats speed up the entire process of creating trends and destroying them again thus paving the way for new trends to appear. All of this got me thinking about Liiloo Designs and the brand I want to build. How do I achieve brand recognition? And what should I do about copycats using my designs for their own gains? 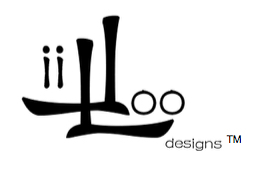 I’m not sure I’ve reached a final conclusion yet but I’ve realized that I want LiilooDesigns to be a brand where customers buy my designs because they want a genuine Liiloo esigns item. The real thing and the full experience. Not just the look and feel of the design, which can always be copied to a certain degree. I want my customers to feel a close connection to the LiilooDesigns brand in the same way I do. This is my dream and my passion and I want to – by all means possible – translate this into every design I make.